Polental are serving up cheese and rosemary polenta balls, deep fried for good measure. 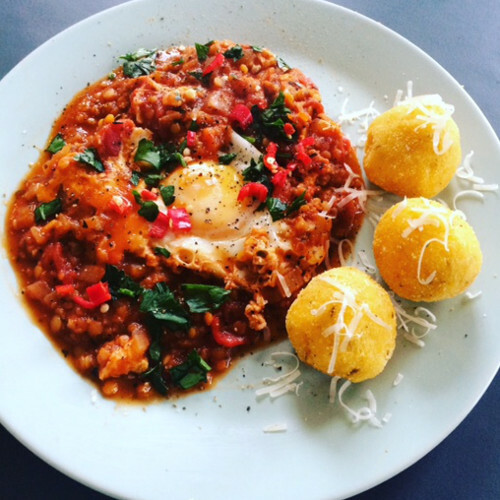 Served with a rich tomato, red lentil and herb ragu with an organic baked egg a’top. Lovingly made on site by food enthusiasts. Vegetarian and gluten free.